Well known tuner Hamann has recently revealed an aftermarket package based on the second-gen BMW X3 (F25) crossover. 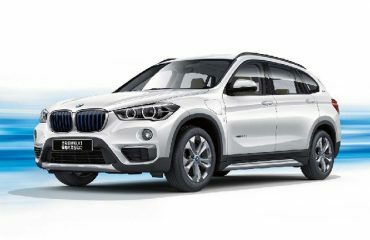 Called as the “Sports Activity Vehicle (SAV)” as liked by BMW, the X3 is now available with various ECU optimization kits for various model including the xDrive 20i, 28i, 35i, 18d, 20d, 30d and 35d. For instance, the xDrive 35i with output of 300 hp (224 kW) and 400 Nm (295 lb-ft) of torque can now generate an output of 348 hp (260 kW) and 449 Nm (331 lb-ft) of torque after Hamann installs its package in the model. If we talk about the range-topping diesel 35d, it offers as standard the output of 309 hp (230 kW) and 630 Nm (465 lb-ft) of torque but can be increased to 350 bhp (261 kW) and 695 Nm (513 lb-ft) of output. Aside from increasing the power output, the tuner is also offering a suspension lowering kit which brings the X3 closer to the ground by 35mm. Also part of the package are silver 21-inch ANNIVERSARY EVO one-piece wheels well wrapped in Vredestein Ultrac Vorti R tires with dimensions of 265/30 ZR21. We have to say that Hanmann has truly created its magic and will surely be welcomed by the car lovers. 2016 BMW 5-Series in the Works?